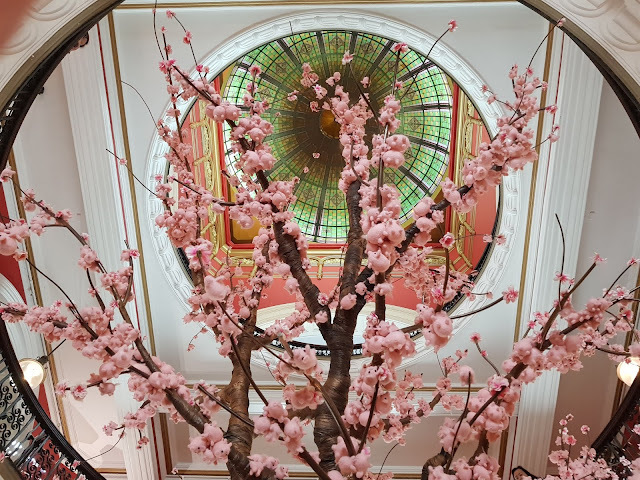 This installation is in the central atrium, beneath the historical dome, of the Queen Victoria Building (QVB). This peach blossom tree, which is 6 metres tall and more than 4 metres in diameter, has been created as a Wishing Tree for the Sydney Lunar Festival. 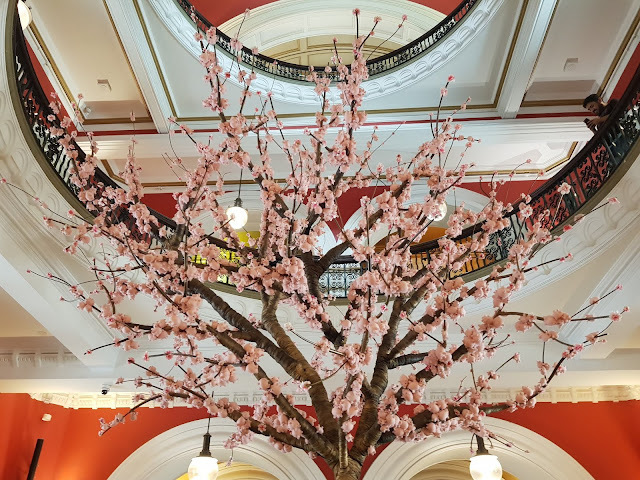 The blossoms are actually hundreds of tiny felt piglets, in celebration of the Year of the Pig. Linked to: Skywatch Friday, Floral Friday Foto. Wow! I can only imagine how long it must have taken to put that up! It looks beautiful and then it is fun when you realize they are wee pigs! Spring flowers make me feel good. That's impressive, and displayed at a great location. Hey, not only do you do great outside shots but wonderful interior pics as well. Lovely pink blossoms for the Lunar New Year! Have a great day! Snap. I posted that tree too. Didn't know the blossoms were piglets until I read your post. They're easy to miss if you're not paying close attention. All those little pigs ... wonderful and what a work! Especially your first photo is beautiful.